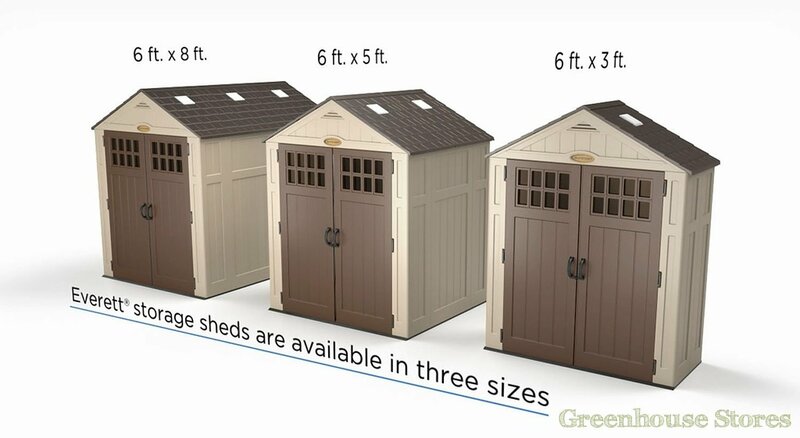 2030mm (6ft 7") Wide Plastic Shed - Practical shed design. 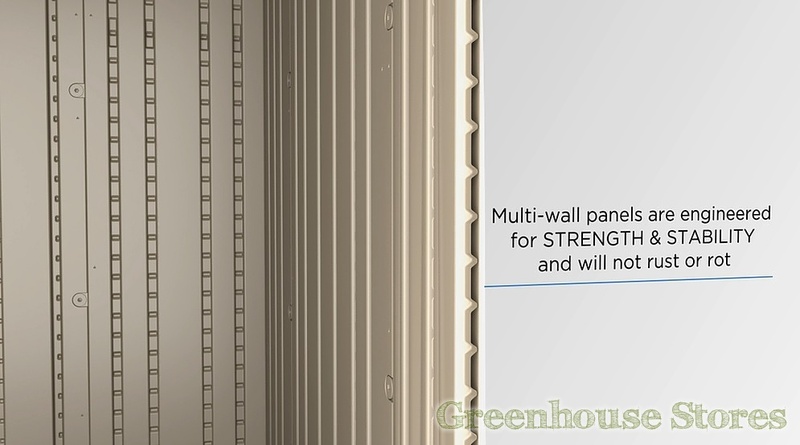 Double Skin Walls - With Wood Texture. 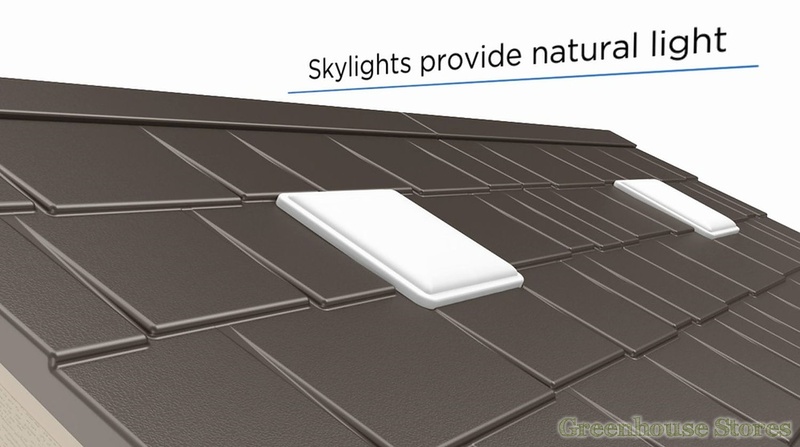 2 Skylight windows - Extra light. 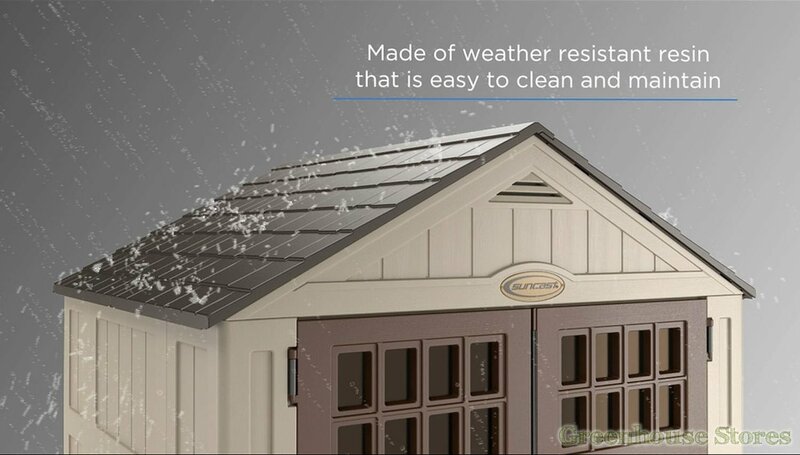 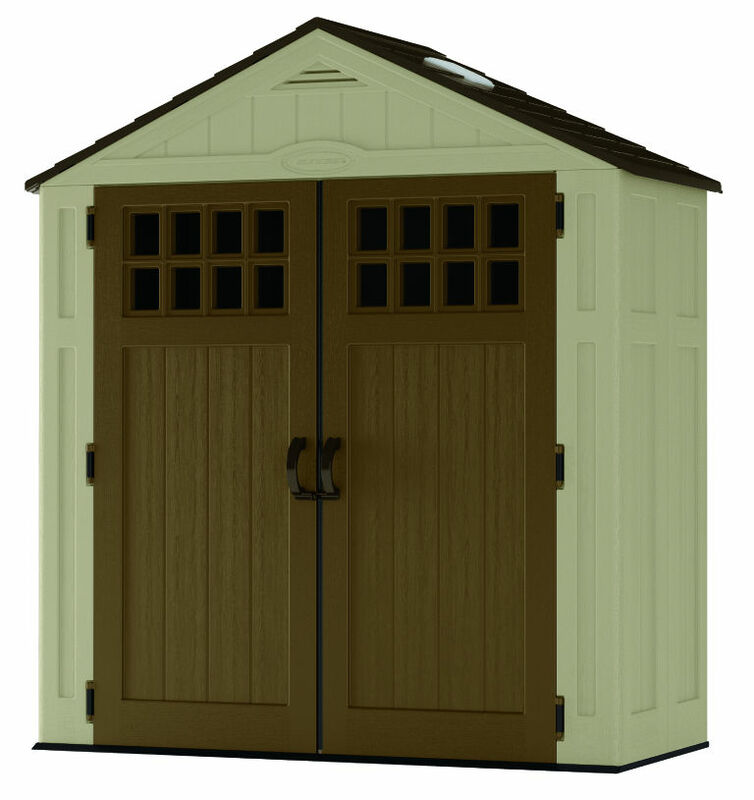 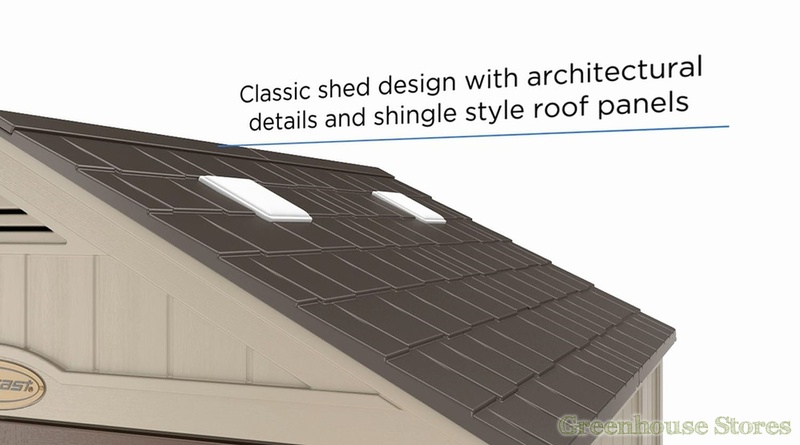 The Suncast 6x3 Everett Five Plastic Shed features traditional design with wood grain effect panels and reinforced shingle style roof. 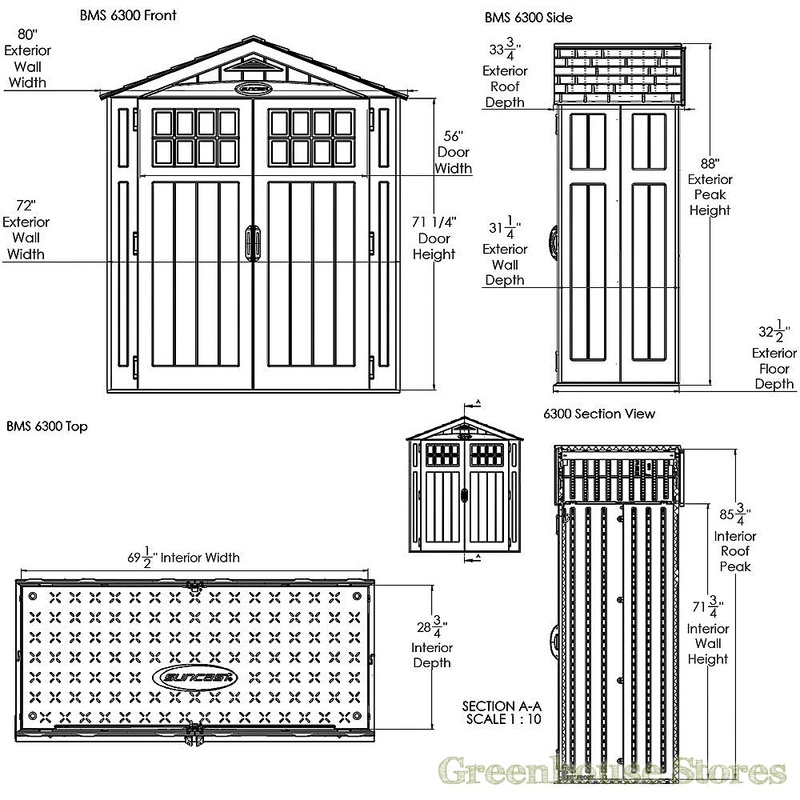 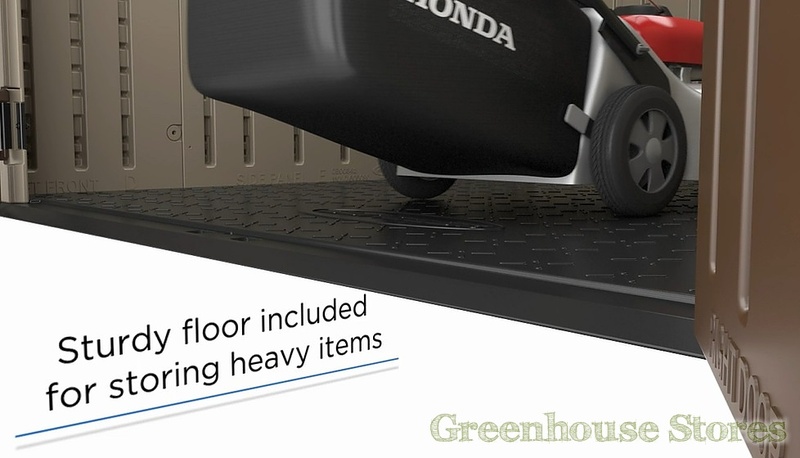 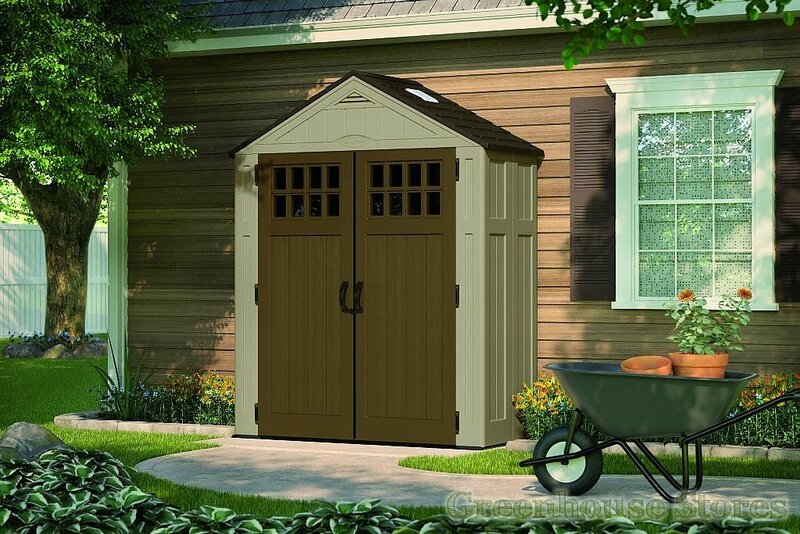 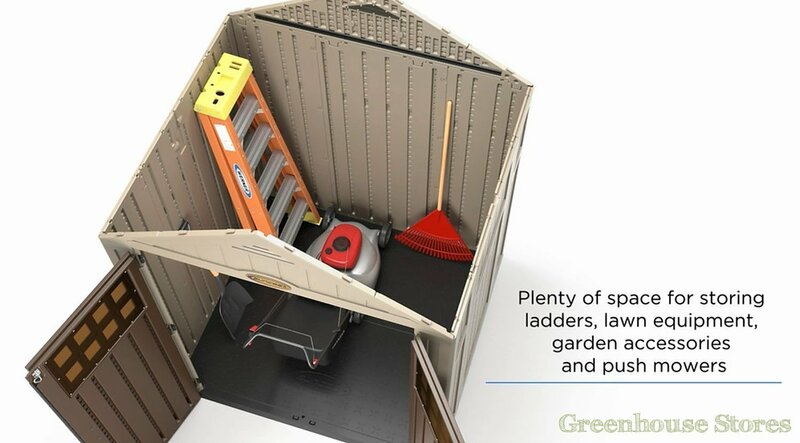 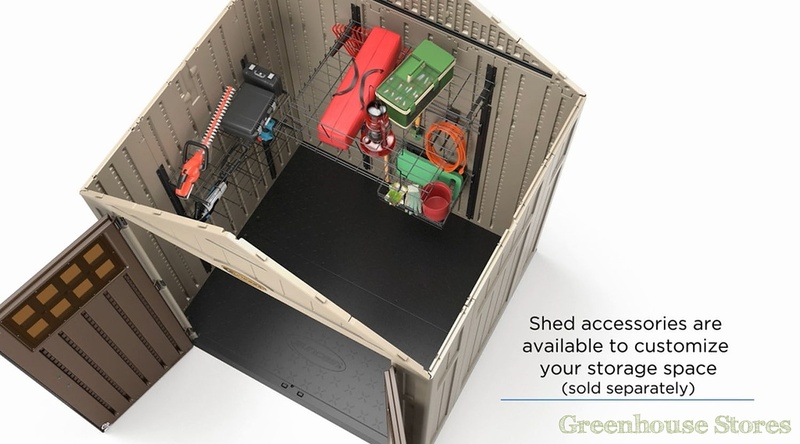 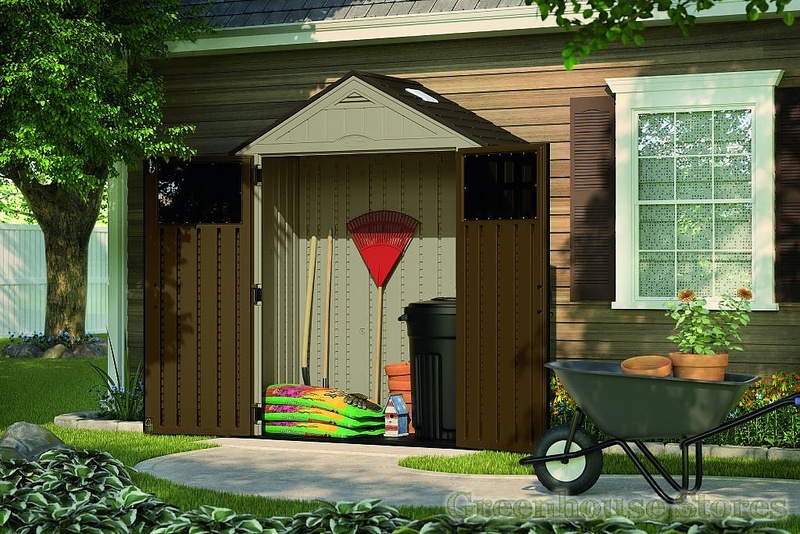 The Suncast 6x3 Everett Five storage building comes complete with a reinforced, intergrated floor designed to take heavy items like mowers and mobility scooters. 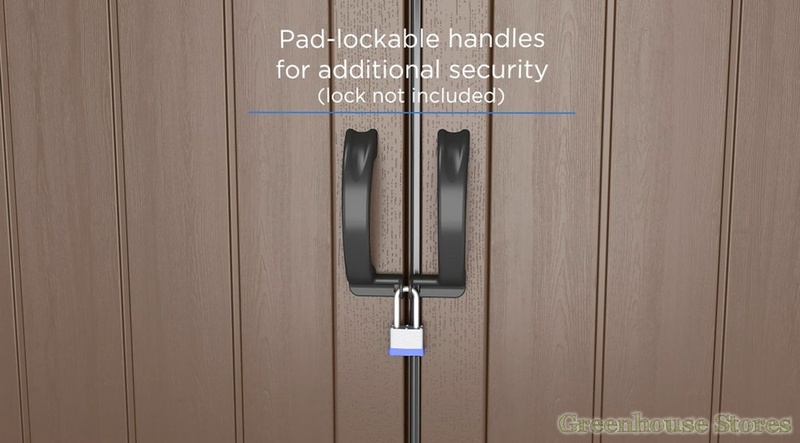 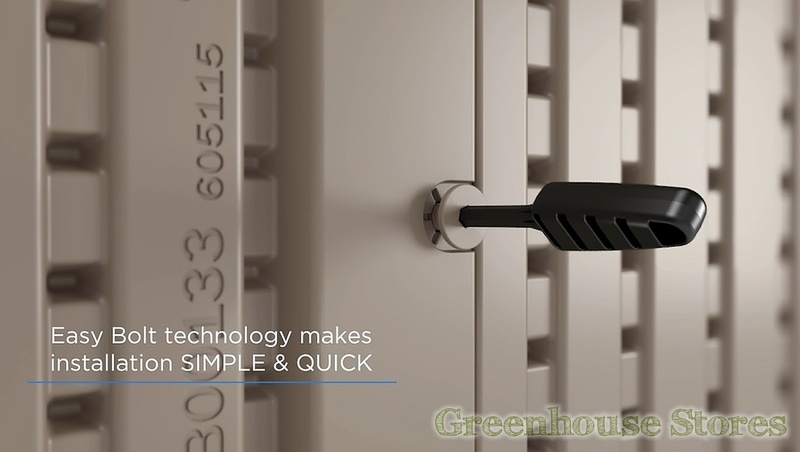 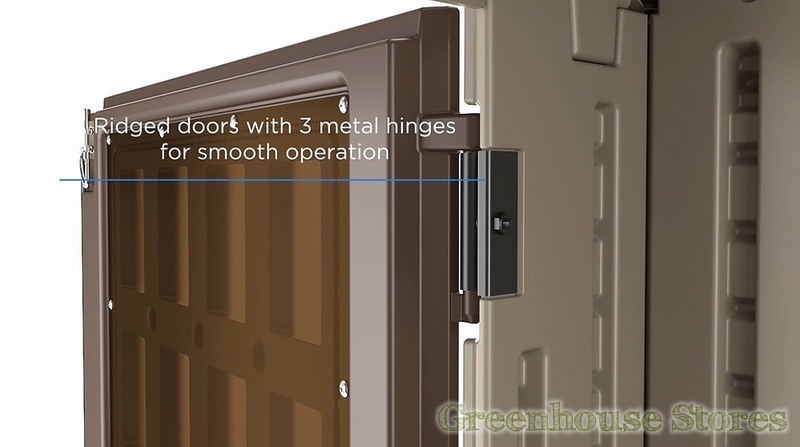 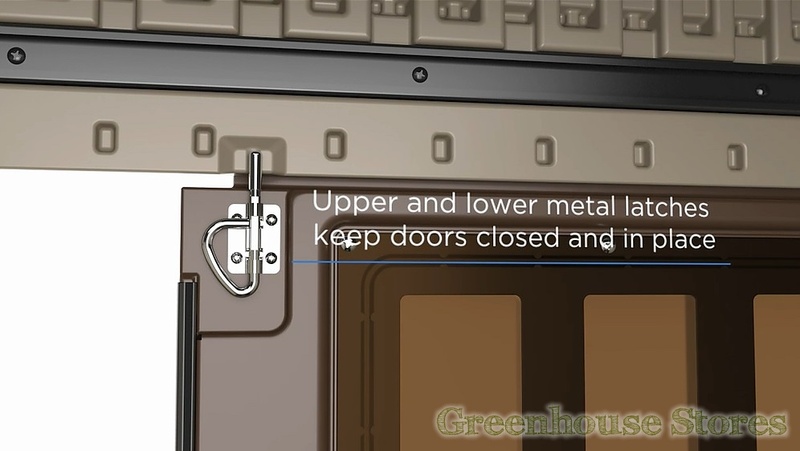 The Large double lockable doors ensure easy access with added security. 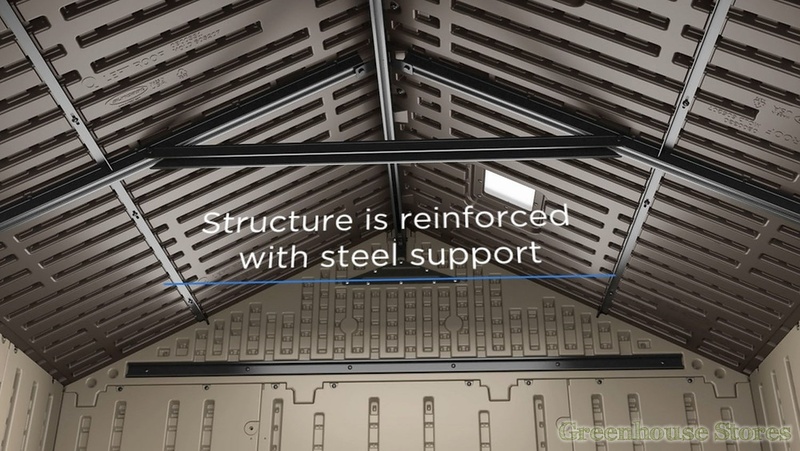 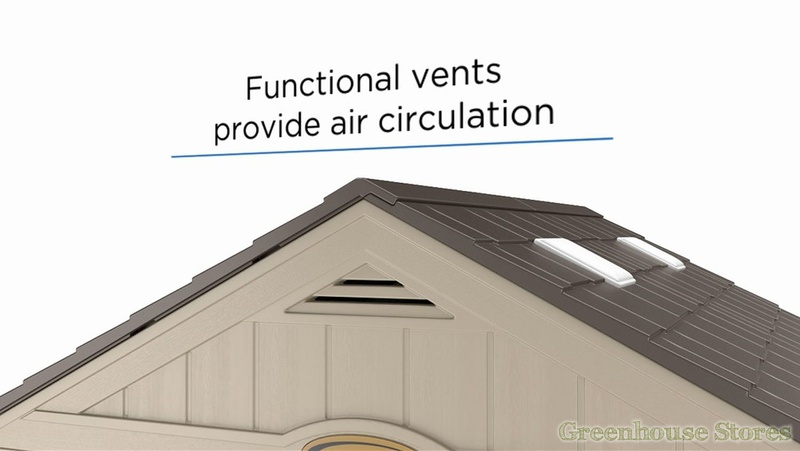 Built in ventilation helps minimise the build up of condensation in the shed.